Ideas always initiate in one-individual’s thoughts. When the thought is shared, ideas expand as others add more to them to enhance them and make them work the best way possible. Ideas that are well thought of, should provide great benefits to those who consider them and believe in their outcomes. Improvements are also ideas that start as just thoughts. Knowing there are always better solutions to resolve the same issues and more efficient ways to accomplish the same tasks requires someone to figure out those solutions and find those ways. Once found, someone needs to have the willingness to take actions to implement the new methods that will hopefully bring up very pleasant results. Quad Plus’s CAD Department has always introduced some of the best ideas that result in great outcomes. From the time we watched the shop primitively measure and build the back panel until now, tremendous changes have taken place in the CAD Department. I N V E N T O R ! ! ! Incorporating Inventor software into the CAD drafting work brought up very noticeable and articulated changes. 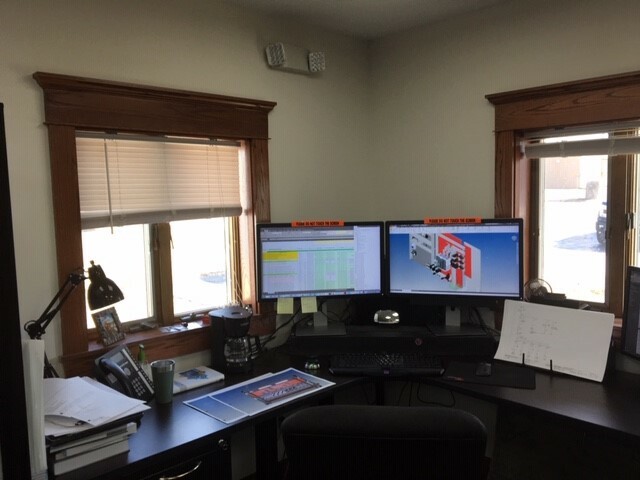 Inventor’s outstanding solutions are not only limited to the enhancement of the CAD work, but they also provide Quad Plus engineering and the shop with great help. Inventor drawings allow both engineering and the shop to see the entire project on screen or on papers before it is physically built in the shop. Inventor, nonetheless, saves the shop tremendous amount of work which saves plenty of time and effort. Saving work time allows more work to be done which eventually reflects on the overall productivity of the company. It has been a long time since we watched Dave, the Shop manager, build the back panel. We all remember the hard time Dave went through as he was working on the back panel size study. Difference between how things worked back then and what is going on in the shop right now is obvious and surely appreciated. Between the time of the primitive method of size study that took place in the shop and the current modern use of inventor software, several other methods were introduced to help make the size study task easier and faster. To help the shop ease the size study task, CAD Department started the size study in 2-Dimensional CAD environment. Soon after, blocks (Component models) were built in AutoCAD® software and considered for modeling the back panel. Intelligent blocks were then introduced. These are component models that can be presented in particular ways as needed. Such models also have the ability to be assigned certain values as applies to the project. A few months later, 3-Dimensional blocks were created, and then 3-Dimensional intelligent blocks were added which was the best of all, at the time. 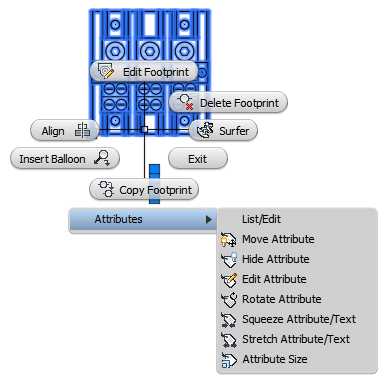 Not long after, additional features were added where CAD drawings were able to generate part lists and place balloon leaders to label all parts in the drawing with unique numbers. This made it a lot easier for the shop to locate the parts in the drawing and work with them. Generally speaking, we can easily say that all developed methods were great. Each new method added more enhancement and resulted in more efficiency than the previous one. Incorporating Inventor software, however, has been the top exceptional method amongst all methods. Today, the CAD team at Quad Plus, is capable of generating 3-D mechanical drawings that include parts with their detailed information. The entire job can now be seen on the screen before the shop starts building it. Needless to mention how much time inventor saved, it certainly made it a lot easier to build the project and manage any issues before they come up as real-life problems. Inventor’s capability of creating and documenting 3-D models along with the use of constrains are amongst the most beneficial features to our electrical design. Working with Inventor saves us (CAD drafters), engineers, and the shop plenty of time in trying to determine what may or may not work for our design. 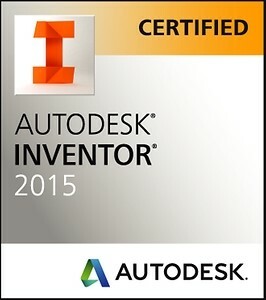 Inventor, by Autodesk® is the software that can easily create 3D modeling while allowing the users to check the accuracy of the design based on the engineering data prior to putting any effort in building the physical work. Quad Plus CAD drafting team is now very pleased and satisfied with their continuous development which we are sure will never stop. 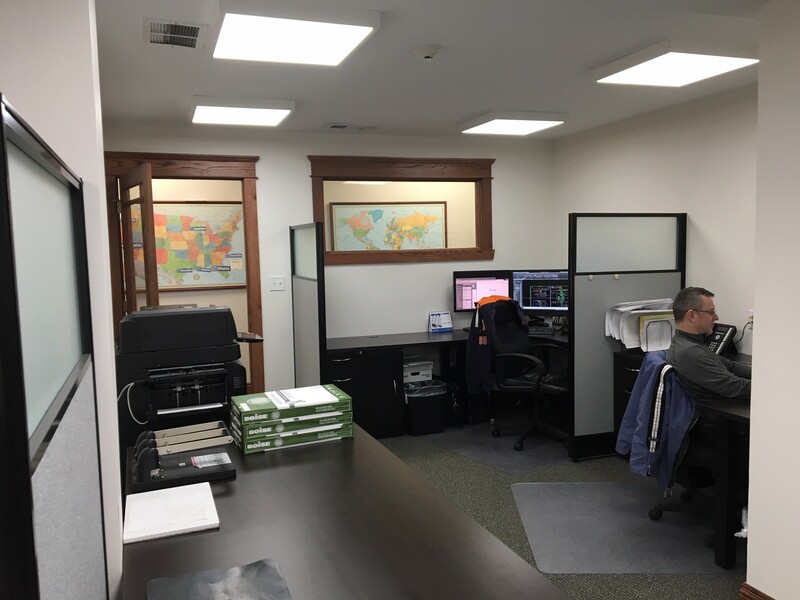 Due to the CAD Department continuous growth, a new, more spacious, and more organized location in the building was considered for the CAD Department to move into. Again, it was one individual’s idea that came up at some point which was taken into consideration for improvement. This idea resulted in the great news we are about to share with you. In the beginning of the year 2018, Quad Plus was working on several projects that required plenty of time and effort from Engineering, CAD, and the Shop. The four available CAD team members at the time could not keep up with all CAD drafting that was required for all on-going projects at the time. 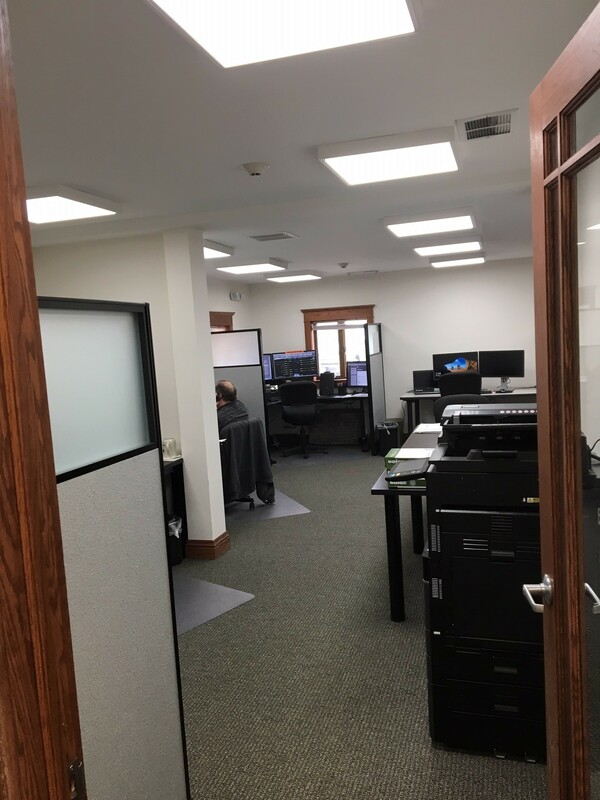 In March 2018, Quad Plus management hired two more CAD drafters to help make work go faster. At the same time, contractors were temporarily hired to manage getting the shop work done according to scheduled dates. Shortly after, and as a nice surprise, CAD Department expanded beyond all expectations. For almost 18 years, CAD never had their own location as a department. CAD started by two drafters that covered the entire company’s CAD drafting work for a long time. Not before June 2016, did two more CAD drafters join the department and again two more were added in March 2018. All six CAD drafters at Quad Plus were given cubicles that were adjacent to engineering cubicles. Although that was helpful when Engineering and CAD needed to discuss certain concerns, it still felt like CAD did not belong in that location. Towards the end of June, and as the CAD Department was noticeably growing larger, an “idea” came up indicating that CAD should move to their own area. Idea was approved, plans were made, and soon remodeling efforts started underway in the building. In less than two months, CAD Department office was ready to welcome Quad Plus CAD drafters. CAD Department now occupies a very bright and pleasant place on the south-east side of the building. 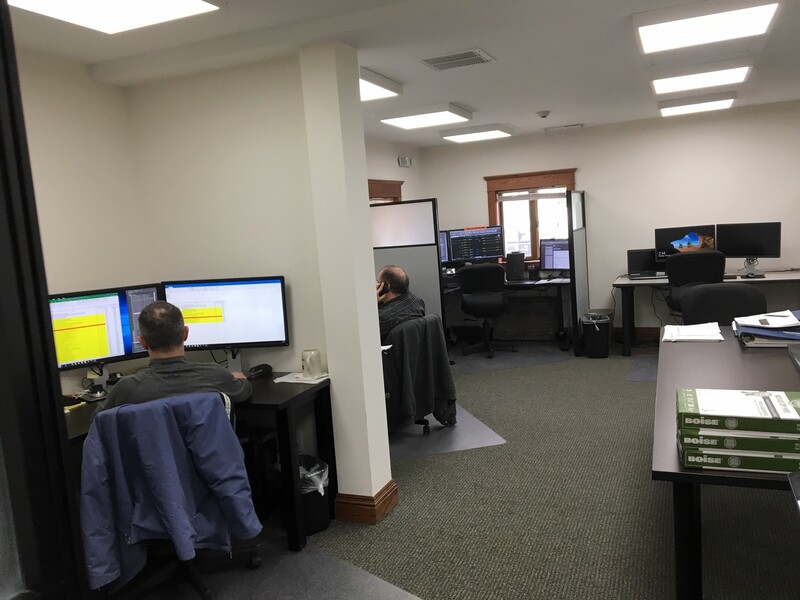 The new CAD Department office currently consists of 7 CAD Stations with 6 CAD operators/Electrical Designers and one spare station. All CAD drafters work under the supervision of a Design Engineering Manager who joined the department in the beginning of September, 2018. With the new management of the CAD Department, establishment of “as needed team meetings,” along with individual weekly meetings were added to the CAD department task schedule. Weekly meetings discuss, current, and upcoming projects, deadlines, task assignment, and all other concerns. CAD work has been much more organized and fairly distributed amongst all CAD drafters. Enhancement of the CAD Department started showing immediate change in the speed of work which increased productivity. This has resulted in a noticeable return on investment for the year 2018. Same or even better results will, undoubtedly, be expected for the rest of Quad Plus’s life with the continuation of the CAD Department team’s commitment to great work and outstanding development. Thanks to Quad Plus management for welcoming new ideas and for encouraging learning and introducing new methods and features that call for improvements! Thanks to the CAD Department, Engineering, and the Shop for their great collaboration and amazing work effort and productivity! Although our CAD Department development will never end, this will still be the end of our Transformation series which was meant to give a general idea about our CAD team that has always strived for excellence that shows amazing love for their work and great loyalty to Quad Plus!! !